Fallen surfers memorial. Santa Cruz, California. 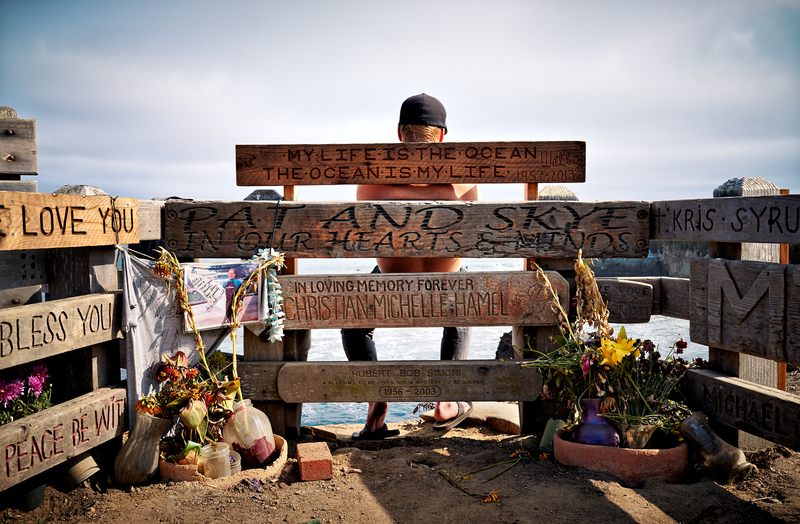 An informal memorial to fallen surfers at the popular surf spot known as Steamer Lane in Santa Cruz, California. The names of surfers who have died are carved into wooden plaques at the staircase that leads down to the water.